Kilcoy is a town some 99 kms north of Brisbane, on the D'Aguilar Highway, which is accessed from the Caboolture turnoff on the M1. It is a town steeped in history as it was the land of the Jinibara people, and settled by Europeans in the early 1800's. Read the history here. The first European name for the town was Hopetown, but in 1908 in changed its name to Kilcoy after Mt Kilcoy nearby. For a town with a small population, there is a lot happening and it is a busy spot for tourists with a number of interesting places to visit, and being so close to Brisbane is popular for day trippers. As well, many "grey nomads" pass through, as there are a number of caravan parks along the D'Aguilar Highway. 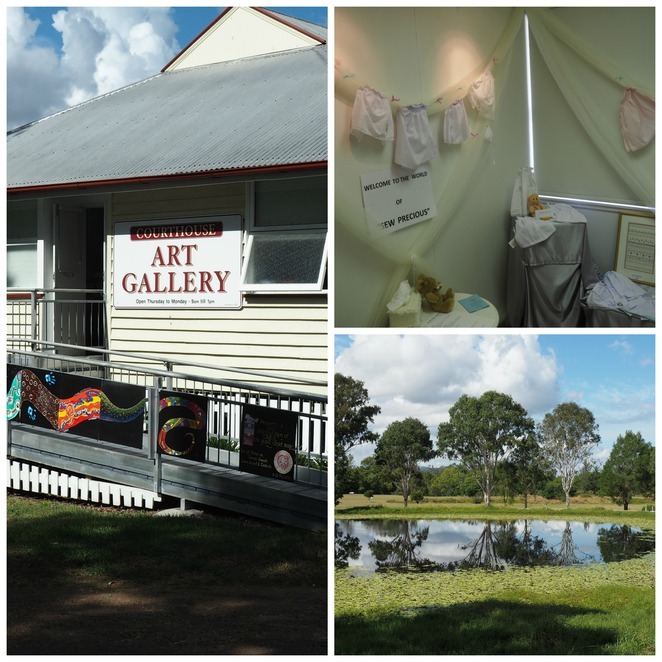 Kilcoy Courthouse Gallery overlooks a beautiful lake, and park which is a great venue for a picnic lunch and perhaps a meet up with a "Yowie". Local artists feature in the gallery, with exhibitions changing. You can check out for the latest news on their Facebook page. 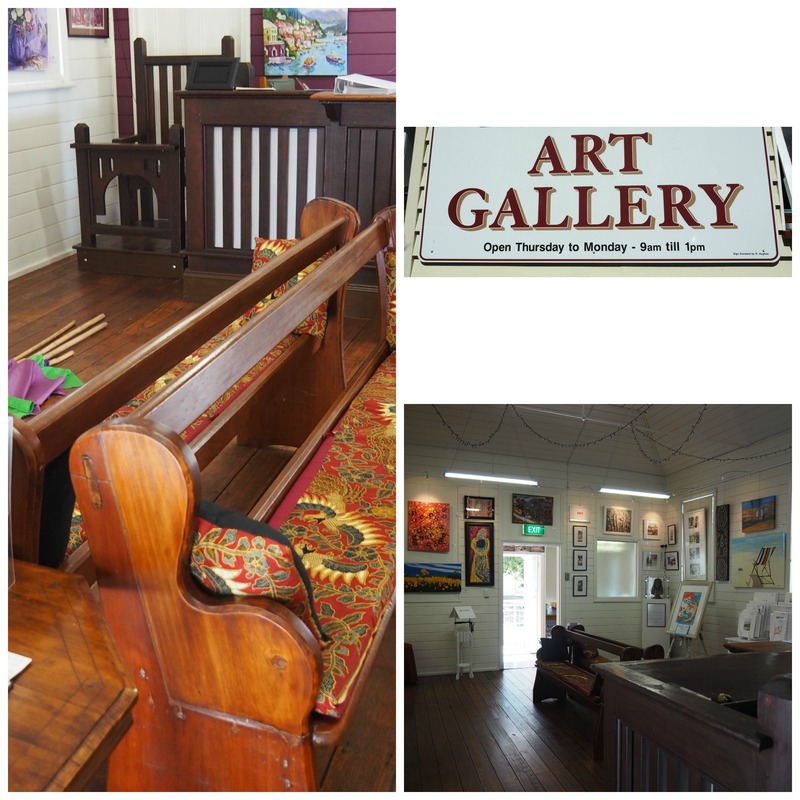 The gallery is open Thursdays to Mondays 9 am to 1 pm, and is free to enter (though they do appreciate donations! ).